For those of us outside government, the astronomical figures our public bureaucracies pay for seemingly simple objects and services is an impenetrable mystery. Remember the military's $400 hammer and its $9,000 wrench? How about Councilman Jim Kenney's $29,000 Twitter service? And now, at the Schmidt Playground in West Kensington, we have the Philadelphia Parks & Recreation Department's $38,920 rubber mat. Technically, it is a "safety surface," a semisoft ground cover designed to cushion the blow for kids who tumble off play equipment. But it's hard not to think of the layer as just a rubber mat poured in place onto preexisting concrete. Including installation, this surface costs an eye-opening $14 a square foot. Which would be perfectly reasonable if it were made of burnished Brazilian walnut (instead of recycled car tires) and destined for a Main Line manse (instead of a playground in North Philly). Make no mistake: The Schmidt renovation is no boondoggle. Apart from the rubber, the cost of upgrades pays for a basic overhaul of a long-neglected playground. The city is installing new equipment, some trees, ADA ramps, and a few repairs and improvements to the aging public pool. Which is great. All in all, the renovations will cost $285,000, which does not seem exorbitant for a well-used neighborhood resource. And yet Councilwoman Maria Quiñones-Sánchez, who represents West Kensington, can't accept that so much of the budget is being eaten up by a mat, not when so many sites in her district desperately need renovation as well. And the Schmidt facility is not the only one. The pricey rubber surfaces are now standard issue on any playground renovation in Philadelphia. "At some of these playgrounds, you're spending $50,000 just for the floor," Quiñones-Sánchez said. "And there are so many other needs out there." That's an understatement. Philadelphia has one of the most underfunded parks and recreation systems in the nation, particularly when it comes to capital investment. In 2009, the city's capital parks budget amounted to $10 per person. That same year, Washington spent $144 per person, San Francisco $62, and Pittsburgh $47. Little wonder Quiñones-Sánchez bristles at the expensive ground cover. Worse, the mats don't always stand up to the abuse children and the elements dish out. "If it's not laid down correctly or it's not set correctly, it's peeling within a year or two," said Quiñones-Sánchez aide Jason Dawkins, who spends much of his time trying to stretch the district's limited parks money further. "It's one thing if it's $14 a square foot and you get a lifetime guarantee, but that's not the case." City officials say they constantly look for cheaper sources of rubber mats, but they say it's the only surface that makes sense for reasons that, taken together, pretty well encapsulate why it costs government so much these days to do virtually anything. First, the city fears getting sued, said Eric Iffrig, project director of the Department of Public Property. If Tommy falls and breaks his leg because the city opted for concrete or a poorly maintained sand cover instead of the $14-a-square-foot rubber mat, the city could be held liable. Second, extensive federal guidelines regulate public playgrounds, defining what constitutes a safe surface, literally down to the inch. Those guidelines don't have the formal force of law, Iffrig said, but juries tend to punish cities that don't follow the federal suggestions. And finally, the government has a natural interest in protecting its youngest citizens from skinned knees, concussions, or worse. Safety first, even if it costs a mint. As the father of a boy nearly 3 who consistently overestimates his mountaineering ability, I appreciate the appeal of a rubber mat beneath the monkey bars. But I also think we've developed an unhealthy social reflex to buy off physical risk whenever possible, whatever the price. And so we spend $8 billion on a Transportation Safety Administration that pats down toddlers when they go through airport security. Or $38,920 for a rubber mat at a West Kensington playground. Surely, there's a point at which spending to reduce risk makes no sense. For me, $14 a square foot is past that point. Besides, there's no consensus the rubber mats are any safer than concrete. Some researchers have found children are more likely to jump when they know the surface beneath them has some give. Here's another option, which is what Quiñones-Sánchez is urging the Parks Department to do. Rethink the playground altogether. Go with green space and structures that aren't as high and thus don't require an ultra-pricey mat. "Let's design differently. There are alternatives," Quiñones-Sánchez said. "If the traditional way has to be that expensive, then let's break with tradition." 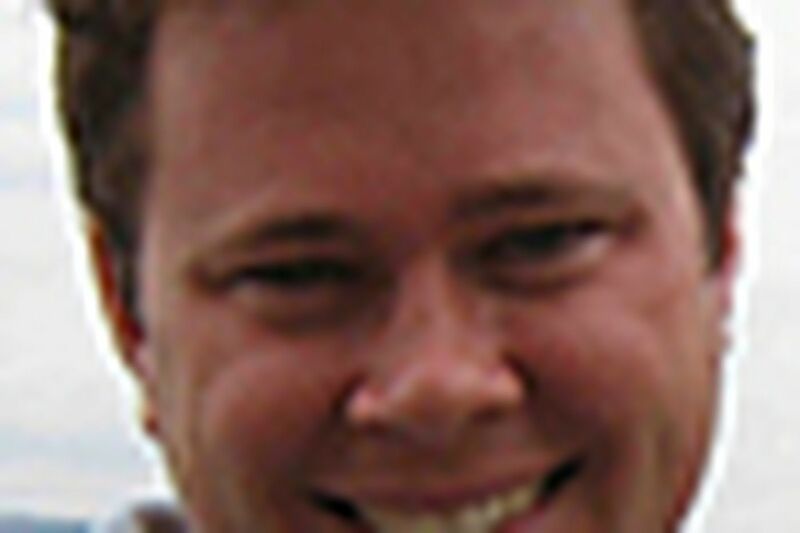 Patrick Kerkstra is a freelance journalist and former Inquirer City Hall staff writer. Follow him @pkerkstra on Twitter.